Katie V. Photography Trying something new!? So to start the new year, I am trying some things that I wouldn't normally try doing. For example... Flower Crowns. I have been known to make fun of the girls who wear flower crowns. I am repenting though. Today I styled a shoot with a flower crown, and guess what!? My lovely model pulls off a flower crown very well! I still don't think I will be wearing one anytime soon, but then again, I may try it out too. 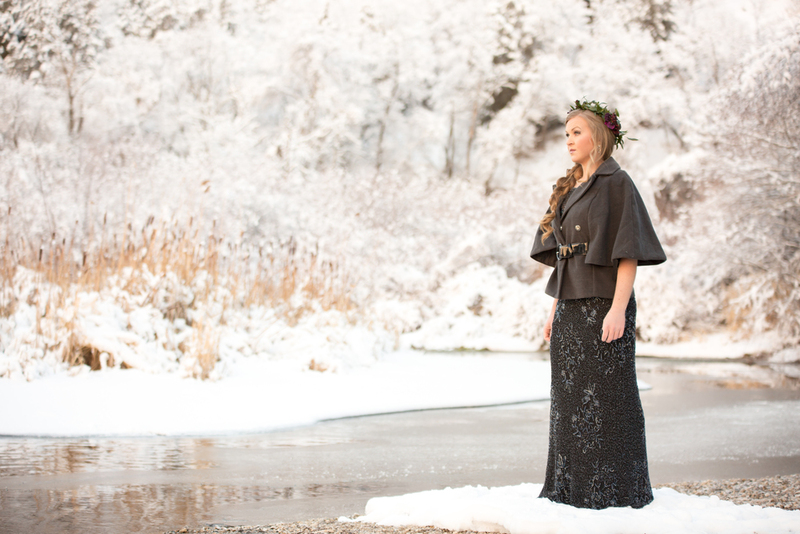 I LOVE doing sessions in the snow and it snowed recently so of course we found a lovely spot and then planned it all out. Nicole, our model, provided the sparkly fancy dress. Accessories were found at a few different stores in town. 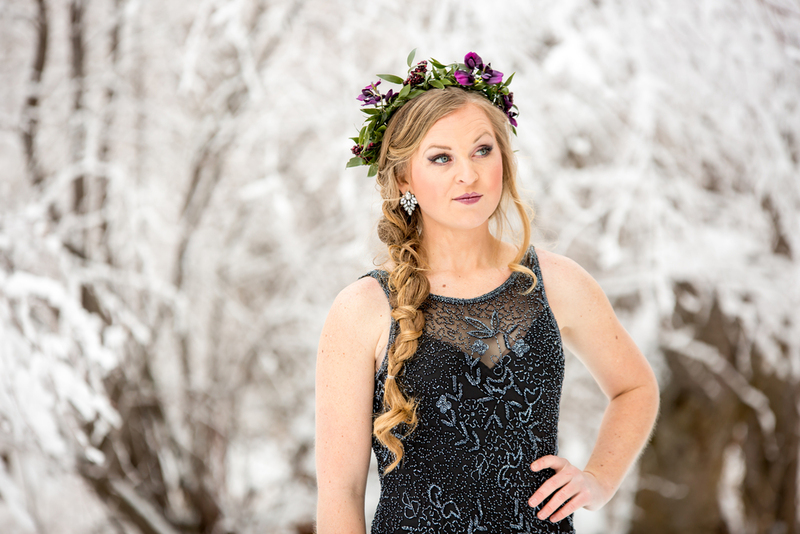 Jade Parkinson from Beyoutiful By Jade styled her hair and make up, and it turned out AWESOME! 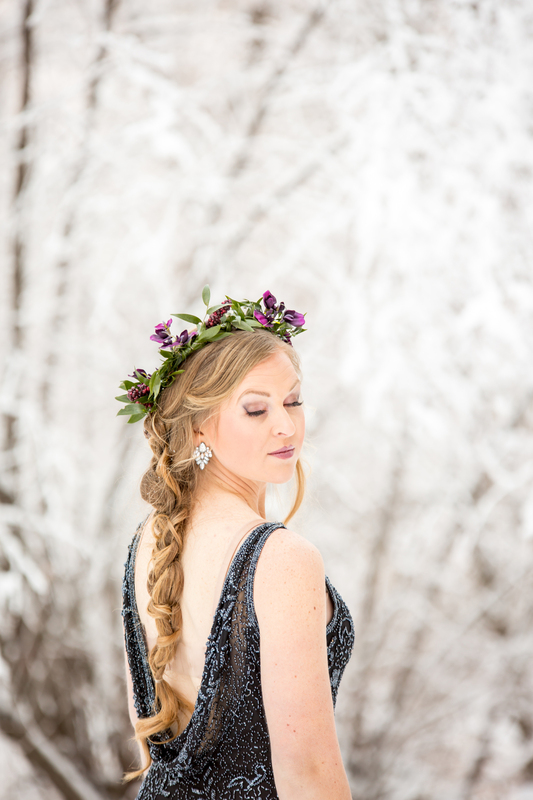 I would recommend everyone to have their hair and makeup done by Jade! 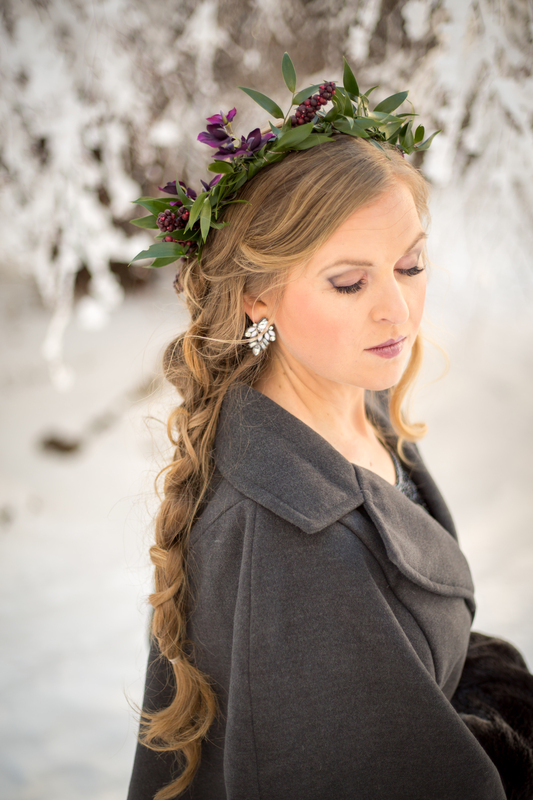 The lovely flower crown was made by Becca at Plant Peddler Floral. They do a great job and are incredibly fast as well! So it turns out the first new thing this year I tried went well! On to the next one! Wish me luck!